And let’s not forget the fun photos we’ve already seen — or all the terrific trailers we just got, too. It’s a good time to be a Whovian — and about to get better! The BBC have release a few new photos from “The Day of the Doctor,” and they sure will do their job of getting fans excited about DOCTOR WHO’s 50th anniversary story! The new images feature Matt Smith as the 11th Doctor, David Tennant as the 10th Doctor, and John Hurt as the ? Doctor, as well as Jenna-Loiuse Coleman as Clara and Jemma Redgrave as Kate Stewart. As if you need to be told, “The Day of the Doctor” will debut all around the globe on Nov. 23, 50 years to the day after the first episode aired. 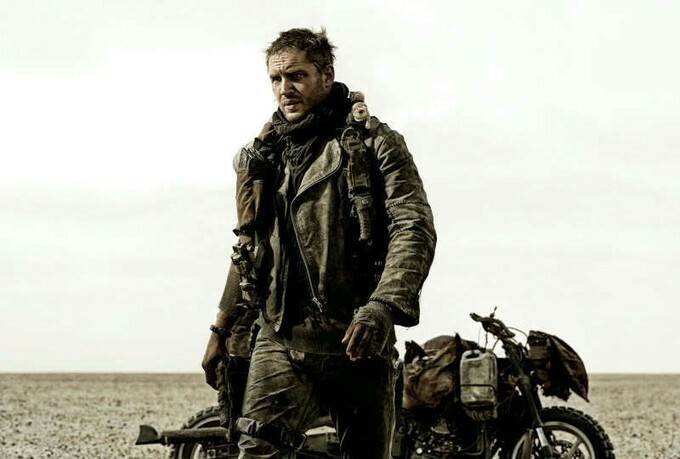 Look, it’s an official photograph of The Dark Knight Rises’ erstwhile Bane, Tom Hardy, in character as Max Rockatansky in Mad Max: Fury Road! I guess it gets pretty cold in the post-apocalyptic desert. Or maybe Max pulls that scarf up over his mouth before he speaks so that no one will understand his mumbling? George Miller’s long-awaited next installment/reboot of the Mad Max franchise — co-starring Charlize Theron — has no release date yet. But, then again, it’s not even done shooting. Yes, still. Word is, an additional three weeks of production kicks off in Sydney on Nov. 22. If you need just one more reason to attend tonight’s advance screenings of Pacific Rim — which technically opens tomorrow, July 12 — how about this sweetener: Fans who attend an IMAX screening at designated theaters can get this frankly awesome-looking free poster print! 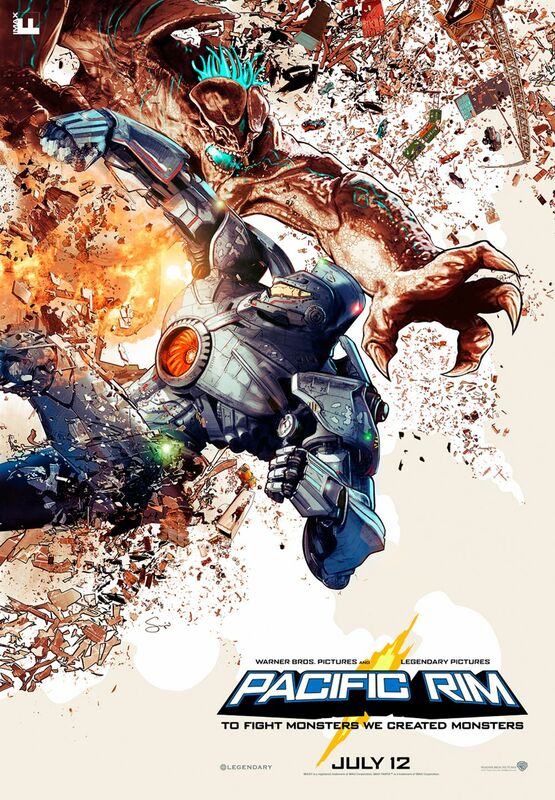 Director Guillermo Del Toro has commissioned Los Angeles artist Sergio Grisanti to create a poster of the Jaeger Gipsy Danger battling the kaiju Leatherback, and it will only be available as a giveaway tonight.